B.A. Ramirez & Sons Ornamental Iron Works, Inc. is a family-owned and -operated company that specializes in ornamental iron work. We have been serving Poway residential and commercial clients for over 30 years and have thousands of satisfied clients throughout San Diego County. 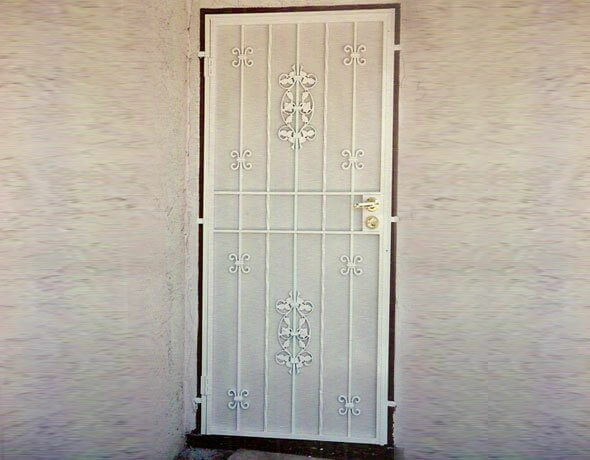 Our highly experienced iron workers are skilled at customizing decorative and wrought iron fences, gates, railings, doors, and window guards for a wide range of applications. These custom-made iron products can be used to delineate property lines, improve safety, increase security, and/or elevate the look of a home or business. At B.A. 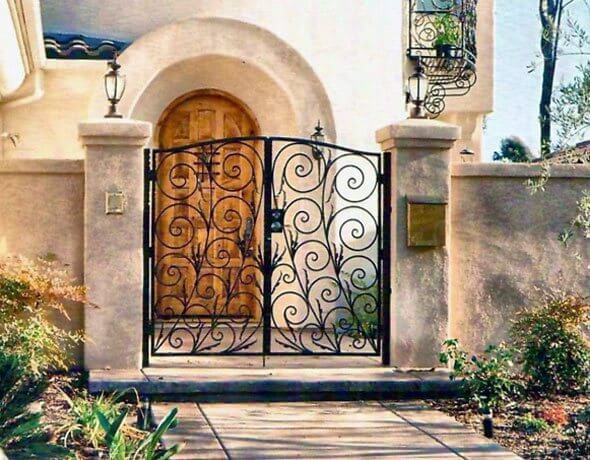 Ramirez & Sons, we pride ourselves on delivering outstanding customer service and one of the best values in San Diego County when it comes to ornamental iron work. We invest the time necessary to create a design that truly captures our clients' visions, meets their functional goals, and will give them the best possible result for their budget. All of our iron work involves moderate to heavy weight steel and seasons hand-forging and welding techniques. Our completed structures meet or exceed the industry's highest standards for quality and comply with current building codes and ADA standards. Moreover, our iron work is backed by extensive labor and material warranties. Call B.A. 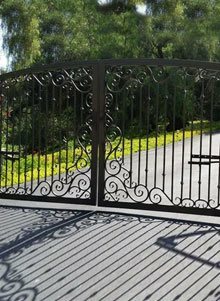 Ramirez & Sons Ornamental Iron Works, Inc. today for exceptional-quality iron fences, gates, doors, railings, and more in Poway. We are bonded and insured, and we have a C-32 ornamental metal contractor license. Trust B.A. 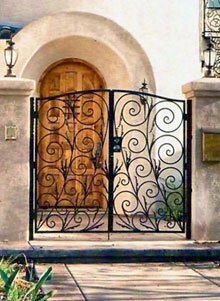 Ramirez & Sons Ornamental Iron Works, Inc. to expertly design and install your iron gate without sacrificing your building's beauty. 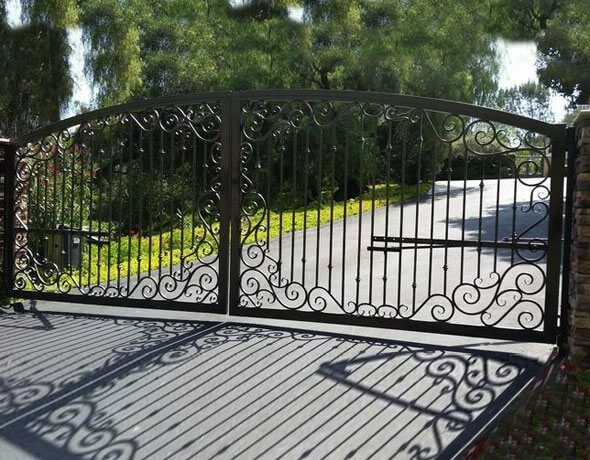 Whether you want a primarily functional or highly ornamental iron gate for your Poway property, we can design and build it for at a cost-effective price. Our gates are typically entryway or driveway gates. They can be motorized and made in nearly any size, style, and color. We are authorized to sell and install a wide array of brand name hardware, such as levers, handles, latches, knobs, and standard key locking mechanisms, as well as intercoms, keypads, fobs, proximity card readers, telephone entry systems, and other automated gate controls. With so many options to choose from, you are sure to get the perfect iron gate to enhance the appeal of your home or business's exterior while also securely controlling access to your property. Call us today for a free consultation. B.A. Ramirez specializes in automatic gate installation, repair, and replacement. Also called electric gates and motorized gates, automatic gates are a great way to add value to any residential or commercial property. An expertly-built automatic gate looks beautiful, makes it easier to leave and enter your property, and can be designed to improve safety and security at your home or business. To automate our motorized entry/driveway gates, we use the best gate operator systems in the industry, specifically those made by Linear, Elite, All-O-Matic DoorKing, LiftMaster, and RamSet. These brands also offer high-quality access control systems and safety devices. Call us today and schedule an on-site consultation. We'll send out one of our automatic gate experts out to your Poway location to discuss your goals and options as well as take any necessary measurements. We also welcome calls for electric gate repairs. At B.A. 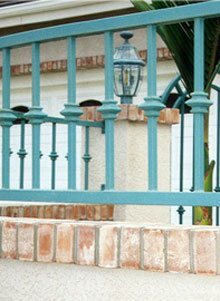 Ramirez & Sons Ornamental Iron Works, Inc., we provide residential and commercial customers in Poway with beautiful ornamental and wrought iron railings, which extends to handrails and guardrails. We custom design and install each of our interior and exterior iron railings in Poway so as to deliver the perfect solution for our customers' decorative and functional needs. 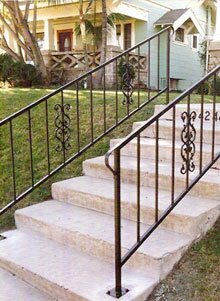 With an average of 30 to 50 years of ironwork experience, our craftsmen can build and install custom iron railings in any size or shape. Our railings can be installed on wraparound, rounded, spiral, or circular stairways; straight or rounded balconies; and on variable terrain. 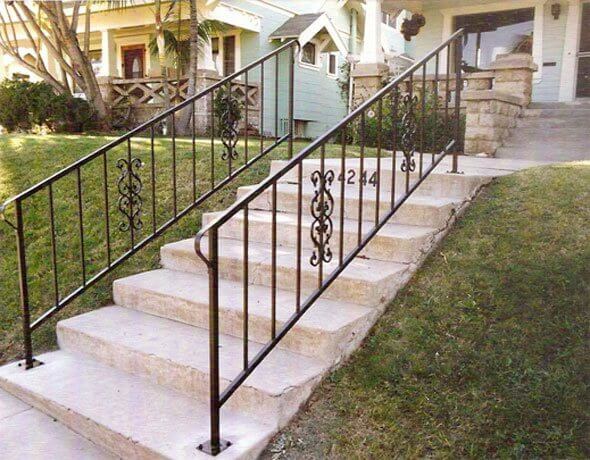 Our handrails comply with current ADA standards and all of our iron work meets today's building codes. Contact us today for a free onsite design consultation or online estimate. Rely on B.A. 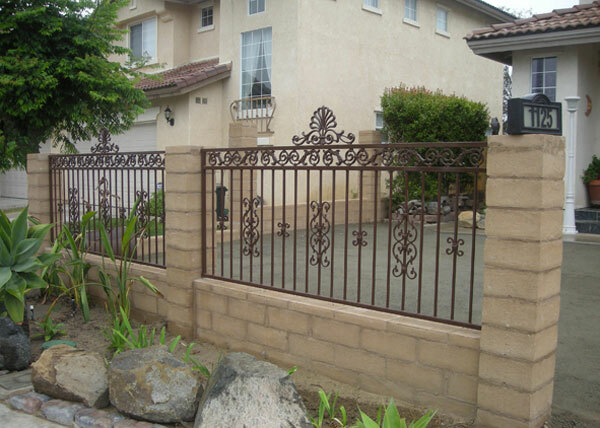 Ramirez & Sons Ornamental Iron Works, Inc. when you want to install a beautifully crafted, precision-installed iron fence that will add style, functionality, and value to your Poway business or home. Our experts are able to build all types of iron fences for a wide range of budgets. Our ornamental and wrought iron fences can be installed around yards, gardens, pastures, pet areas, pools, and perimeters of any size. To ensure that your fence meets your personal aesthetic and functional needs, we'll work closely with you to develop a design before we begin fabrication. Because we hand-forge our steel and have access to a wide array of finials and other decorative cast iron elements, we can realize any fence design you can imagine. Additionally, we can extend the life of your steel fence by applying a finish that resist corrosion, such as a galvanized, powder coat, or metallized finish. Call us today for your iron fencing needs in Poway. You are certain to be delighted by our quality materials, superior craftsmanship, and dedicated customer service. At B.A. Ramirez & Sons, we can work with you to design iron window guards and doors that will enhance the look of your property and improve security. To create your window guard and/or door, our highly skilled craftsmen will listen to your goals and budget, and then work with you to develop a design. By working with our experts, you can trust that your window bars or door will coordinate beautifully with your home or business, deter trespassers, and last for years. As part of this process, we can also find ways to save you money and make recommendations that would correct any shortcomings in the design. For instance, in certain circumstances, we've suggested that doors be installed a few feet away from the front door, but within the portico, in order to create an enclosure. In those instances, our Poway clients hadn't initially considered this option, but loved the final result as they appreciated the secure space created between their front door and visitors. Call us today to learn more. Iron is the optimal choice for Poway businesses in need of an attractive, functional, and cost-effective fence, gate, railing, door, or window guard. Iron is highly customizable, creates a classic look, and comes in a wide range of alloys and thicknesses to accommodate different budgets and applications. 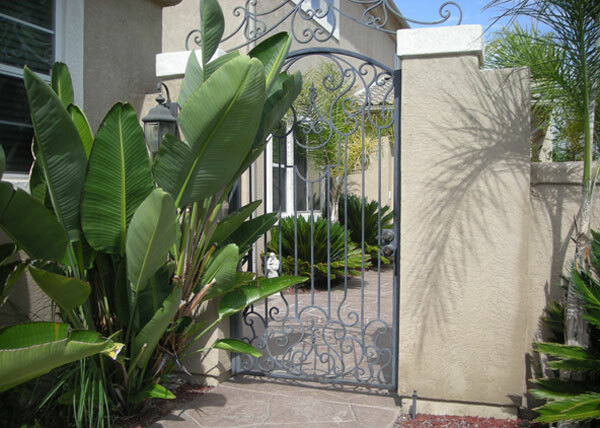 Whether you are looking to become ADA-compliant with cost-effective handrails, wish to discourage intruders with iron window guards and steel doors, or want to improve your curbside appeal with a highly ornate entry gate, we can custom design our commercial iron work to fully suit your functional needs in Poway. We are skilled at hand forging both ornamental and wrought iron, and offer a wide range of customization options to perfectly coordinate your commercial iron work in Poway with your building's existing look or style. Call us today for all of your commercial ironwork needs in Poway. Online estimates are free. From high-security iron fences to decorative wine cellar doors, B.A. 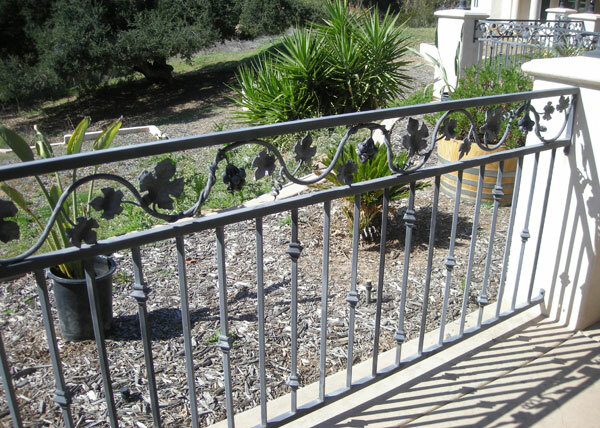 Ramirez & Sons Ornamental Iron Works, Inc. is Poway's go-to residential iron work specialist. We custom design each of our residential iron work projects so as to add elegant, Old World beauty as well as enhanced security, privacy, perimeter definition, safety, and/or other functional benefits to our clients' properties. 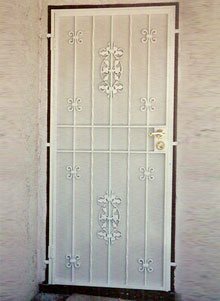 Our comprehensive residential iron work for Poway range from fences and gates to railings to doors and window guards railings. We not only install these custom steel products, but also repair and replace them. In all cases, we keep our quality high and our prices are fair. Call us today. Our design consultations are provide at no charge. Discover why B.A. 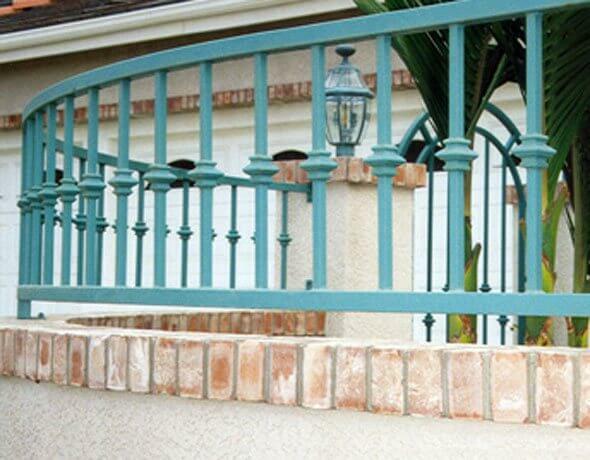 Ramirez & Sons is considered one of the best iron work contractors serving Poway; call today. We offer comprehensive ironwork services at a great value, have decades of experience, and a solid reputation for honest, excellent craftsmanship, and dedicated customer service. F4 This Spanish style steel fence in Poway, CA utilizes cast aluminum decorative designs to dress up the fence and give our client's home a unique look. A combination of 1" steel tube frames with ½" vertical bars make for a long lasting fence. G6 B.A. Ramirez & Sons installed this hand forged gate in Poway, CA. This steel Spanish style gate was made to secure the entry courtyard to our client's home.